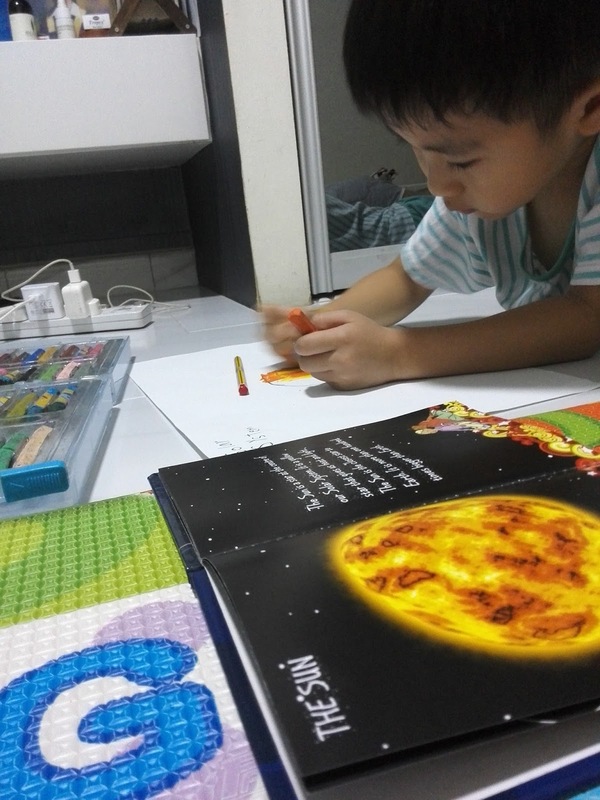 To make use of The Solar System book I bought for years, I started reading to him last week. The same book every night, and he really enjoyed it. 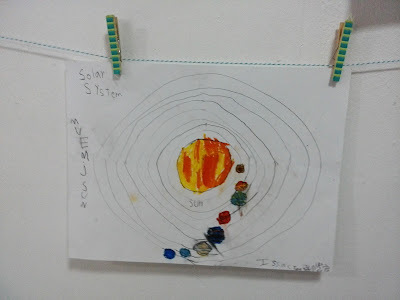 Then I thought of activities (because of reminder to self: create more fun learning) for Solar System, and then mind mapping came into my mind. I'm not exactly a person for mind mapping, but for his age and his interest, I guess drawing it out will be the best. 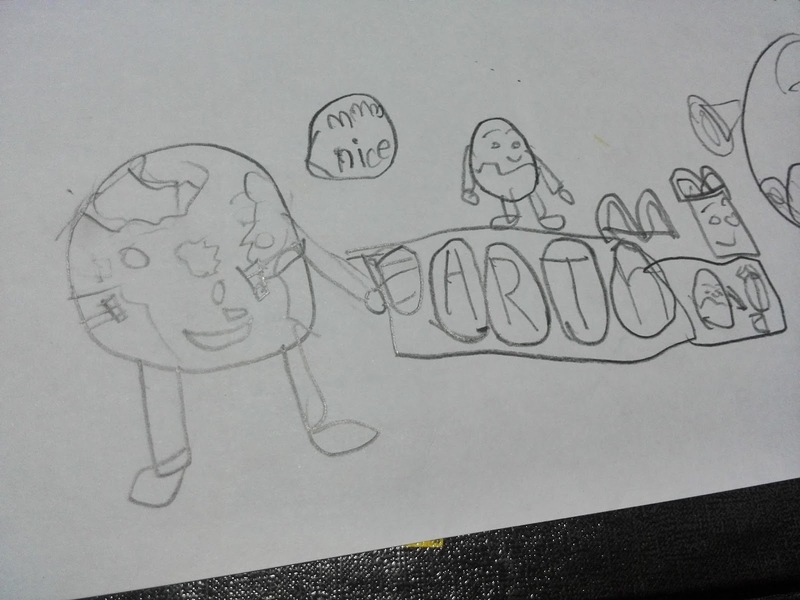 While I read, I described, he put it in illustration. We also went through the way to remember "My Very Energetic Mother Just Serves Us Noodles". We learnt not just the Solar System, but spelling/phonics too! 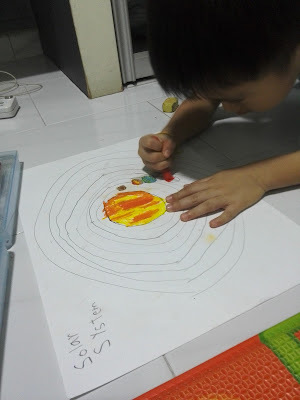 that his mommy taught him Solar System. 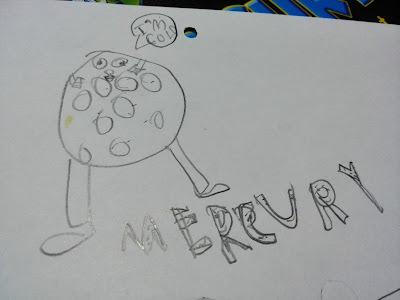 I also let him watch YouTube on Solar System, and I guess he really benefited from it. 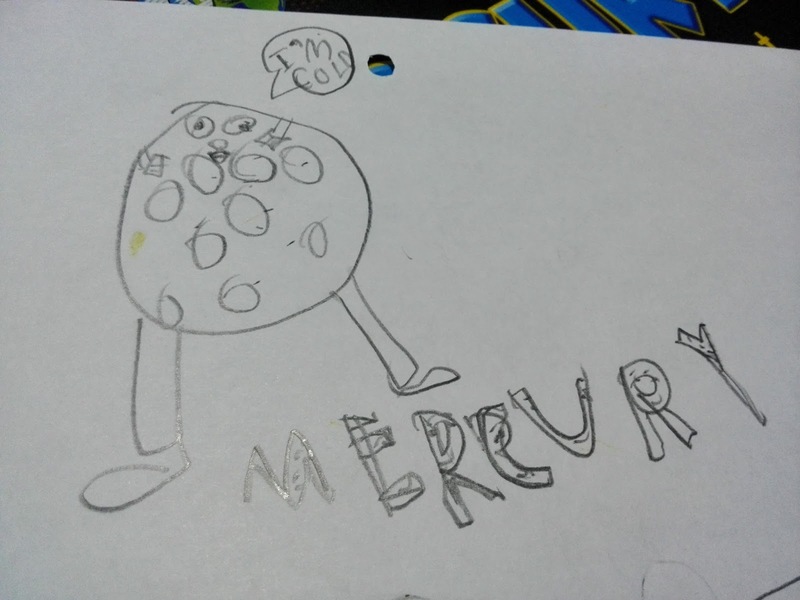 Last night he went "Jupiter is made of gas". I couldn't remember. Then he started singing "I am a giant gas" in the manner of the YouTube song. The dad randomly uttered a question "how many moon does Jupiter has?" IZ answered 60 (that's according to the book anyway). Looks like Jupiter now has at least 63 moons. How ah? 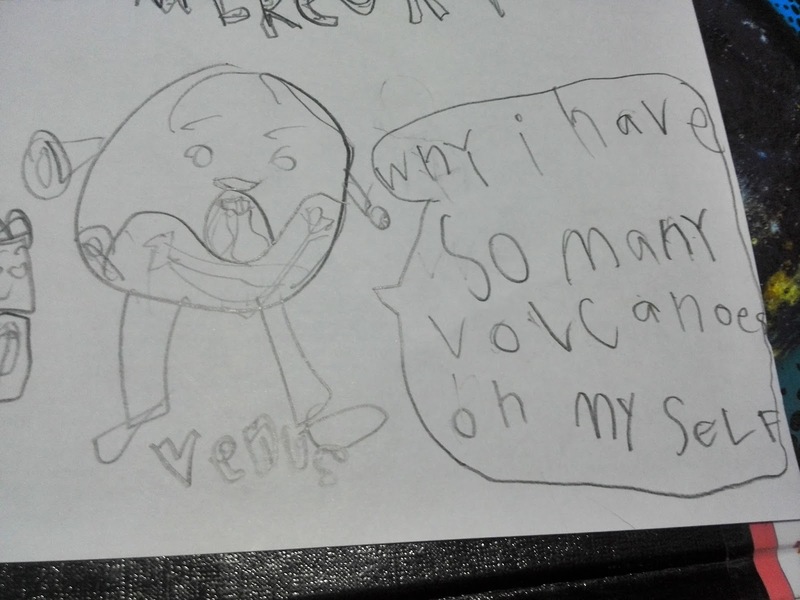 He captioned "why I have so many volcanoes on myself"